Words+Dreams is pleased to announce that downtown composer/guitarist Patrick Higgins (ZS, Bachanalia) will release a new record of works for solo guitar and laptop electronics. STEREO is a three-part composition written and recorded in quadraphonic four-channel stereo, to be released as a special-edition double cassette this November 8th. 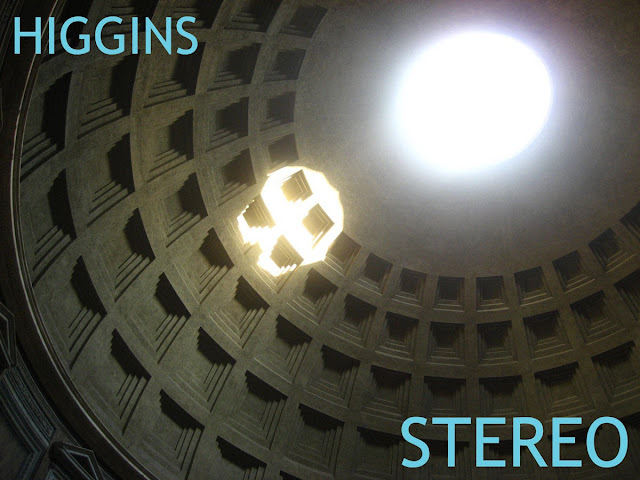 Making use of extended techniques, time-shift and phase manipulations, as well as a custom-designed digital delay interface, Higgins’ STEREO is a work that both celebrates and disfigures the tradition of solo guitar performance. STEREO is a must for fans of drone, post-minimalism, avant-garde, and uncompromising instrumental works. STEREO will be released on two stereophonic cassettes designed to be played simultaneously on two independent stereo systems or through a single quadraphonic receiver connected to two tape decks. In the tradition of four channel stereo gear of the 70s (hyped in marketing materials as the next logical step after stereo dominated mono) and presaging the later dominance of home theater and multi-channel setups, quadraphony — the forefather of surround sound — is lovingly resurrected for this ambitious and unusual release. In addition to the double cassette, each tape will include a download code to collect a standard stereo downmix, plus the option of a digital 4-channel encode to be played back on your home theater or surround sound system.